With 12 seconds to go in the third quarter, senior Tyler Stewart banked a 3-pointer from the left wing and the crowd of over 300 erupted with cheers. It was her 100th 3-pointer — possibly the final one of her career. 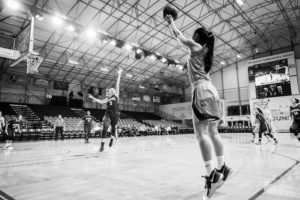 Precise ball movement and shooting by the UC Santa Cruz women’s basketball team led to a 92-57 win over Bethesda University on Friday night. The four graduating seniors scored a combined 54 points as the team played some of the best basketball of its season. 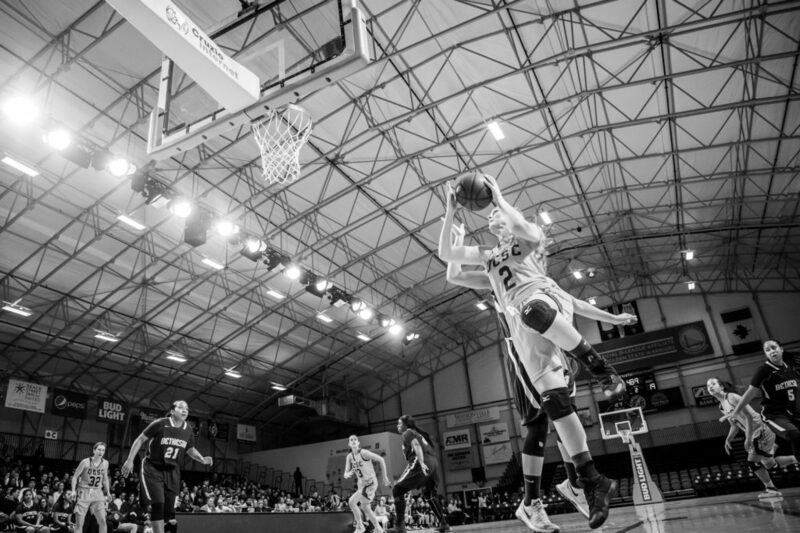 The crowd at Kaiser Permanente Arena hung on every moment as the teams executed shot after shot. The seniors were honored with speeches highlighting their achievements on the court and about what they meant to the team, reflecting on their collective growth. This was the team’s third and most decisive win against Bethesda this season. Less than five minutes into the game, senior Michelle Poole made a layup that put them up 13-3. The Slugs kept at least a 10-point lead throughout the game, leading by 40 at one point. They finished their season 14-10 overall. 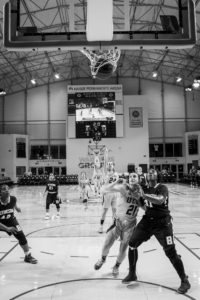 With a strong end to its regular season after facing opponents such as DI Santa Clara University, the team will find out on Feb. 27 if its performance gets them to the NCAA championship. This game marked Coach Todd Kent’s 100th win after his eight season at UCSC. The team focuses on including all the players regardless of playing time or year, creating a support system that aids its play. The culture of positivity is lead by the seniors as they shared their experiences. “[The seniors] know what other players are going through, so it’s a cool way to connect with the underclassmen or connect with the other girls on the team,” senior Tyler Stewart said. Creating a tight knit team is a result of the leadership’s effort as well as the coaching staff’s skill and attitude. Todd Kent and the assistant coaches’ expertise have driven the women to winning seasons for the past five years and to the NCAA tournament for the first time in the program’s history last year. “[Our coaches] just pour their heart and soul into the program. It’s a really good support system, they really care about each of us individually as daughters basically,” Stewart said. As the team waits to hear about if it qualified for NCAA championships, the coaches and players go to practice as usual, but that hasn’t stopped the players, both old and new from looking toward next year. As the seniors look back on their college athletic careers, the feeling is bittersweet — embracing the countless memories but preparing to say goodbye to the family they cultivated on the court.